Dentistry and orthodontics technology keeps on advancing. A patient in need of orthodontic treatment has several options to choose from. They are lingual, ceramic and traditional braces as well as Invisalign among others. Do you need to straighten your teeth or correct a bite? Our qualified orthodontists in Santa Barbara will give you the orthodontic treatment that is best for your particular problem. Invisalign is an invisible aligner tray that looks like a mouth guard. It is worn over the teeth to gently and gradually move the teeth to the desired position. Board authorized orthodontists use x-rays to create an impression of your teeth. The traditional treatment uses metal brackets that are glued to the teeth and tied together with rubber bands. Even though the patient’s preference may be used to choose between the two, recommendations of an orthodontist can override the patient’s preference. Orthodontist gives recommendations based on the orthodontic problem, the age of the patient and lifestyle. This is because some treatments are not effective in treating certain problems and certain treatments are unsuitable for children. What are the tips for choosing between the two treatments? The invisible aligners are ideal for patients who are conscious about their appearance. This is because they are hard to notice and one can straighten their teeth discreetly. Traditional treatment also offers options where one can choose the color of the band and metals can be silver or golden. This makes them appear as jewelry. A patient using traditional treatment can visit a dentist once a month for wire tightening. The aligner trays require being changed every two weeks. A patient may carry several sets of trays and will only need to go to the dentist after there are no more sets. No matter the method that one chooses, proper care should be maintained. The metal brackets require a patient to embrace proper brushing and flossing techniques and avoid hard foods. The patient has to brush both wire and brackets and their teeth. Aligners are easy to brush as they are removable. However, a patient needs to brush their teeth after every meal before wearing the trays to avoid staining. A patient needs to be on the lookout to avoid losing the trays when they are removed. What are the major benefits of Invisible Aligners? No food restrictions- a patient can continue with their ordinary diet as the aligners are removed when one is eating. The only thing that one needs is self-discipline to put them on after removal and ensure the trays are worn for at least 22 hours a day. Aware of the end result- this kind of treatment embraces technology and allows the orthodontist and the patient to discover how the problem will be fixed even before starting the treatment. The 3D treatment planning helps in the creation of different impressions. Comfortable- the trays are smooth and do not have sharp edges that can prick the sides of the mouth. A patient easily adjusts to the treatment as there is very little or no discomfort. Versatile – the metal brackets can be used to correct complex problems that can be difficult with other methods. Some issues that can be corrected include protruding front teeth, crooked teeth, crowded teeth, rotating canines and molars, closing gaps, and improper jaw growth. Strong and effective- they rarely break and are able to exert enough pressure to efficiently move the teeth. The fact that they are not removable allows them to move teeth at all time, giving quicker alignment results. They are ideal for patients of all ages, especially children. History of Reliability– it is trusted by orthodontists for any adjustment as it has been tried for a long time. The orthodontist is in control and is able to move the teeth to the desired position. 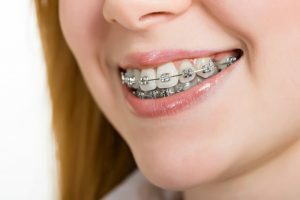 Some orthodontic procedures require specialized training, but with metal brackets, all orthodontists are able to work with them. 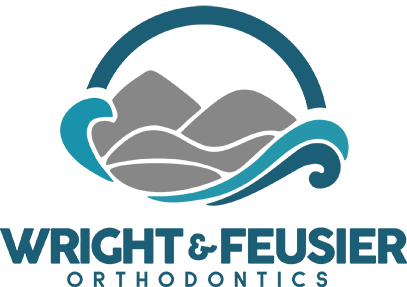 Orthodontist in Santa Barbara will evaluate your problem and ensure that they give the best recommendation that will give you the results you desire. Our qualified and experienced personnel will examine you for any dental or facial issues that you may be having. The orthodontists will work with you to improve your smile, giving you confidence. Nice aligned teeth will give you healthier teeth and gums by avoiding periodontal diseases associated with crowded or spaced teeth. Straight teeth are easier to clean, minimizing incidents of tooth decay. You improve your overall health as some oral ailments can cause other diseases such as diabetes, heart disease, and stroke. Orthodontic problems should not be ignored even with children. When children reach seven years, they need a dental checkup to correct any issue they may be having.